Go To Request Estimate and provide some basic information about your event needs. We'll then chat to define what all features you would like your site to provide. I'll then generate an estimate for you. If you approve the estimate, then you will be on your way one less thing to worry about!! * With electronic invitations, you can select an invitation layout from the gallery or have an invitaion designed for your event. * Your guest list is either entered by you or can be uploaded via a spreadsheet provided to DBP. * Electronic invitations are sent to your guests on a date set by you. These emails include basic information about your party and a link to your invitation and RSVP. * Your guest would click the link in the email to proceed to your invitation. Once there, they will be able to RSVP very quickly. * You, as the host, will receive an email when a guest has RSVPd. In addition, you will have access to an app called Manage My Event. This app will allow you to display all guests that have RSVPd, get the total number of guests attending, and generate eVites for people that you want to add to your guest list. Visit the Invitation Gallery to see the formats that can be selected for your electronic Invitation. Keep in mind that the wording on your invitation would be customized for your party. 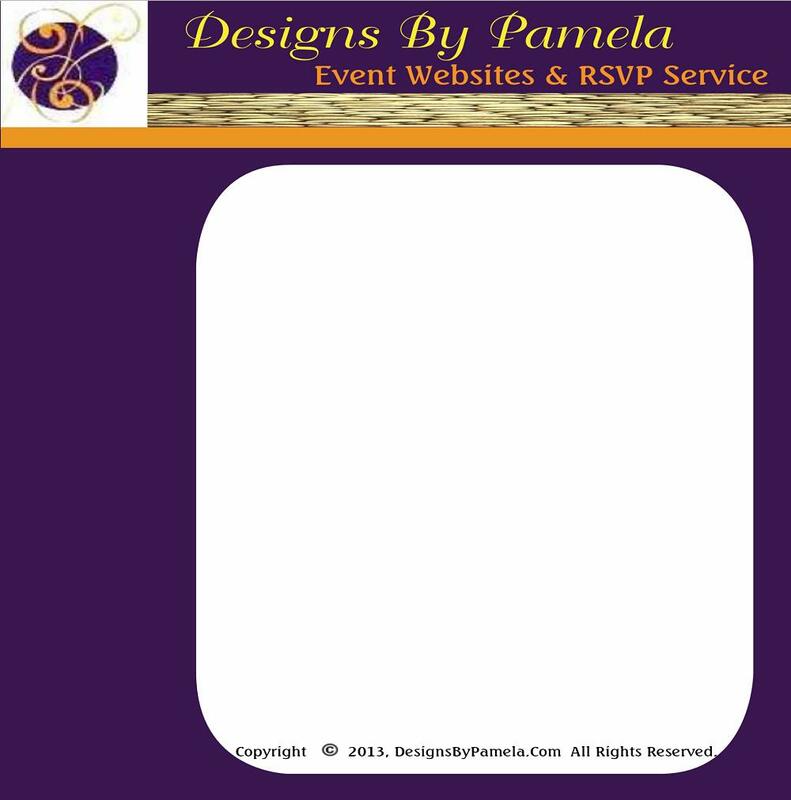 Also You can choose to have a custom background and layout for your invitation.